This post contains a few affiliate links, regardless all opinions expressed below are my own. Making crafts is something I love to do with Lainey, I hope she always feels the same way. For now, we spend short little bits of time getting creative because well, she's a normal 9 month old and she likes to explore and then keep moving and exploring. With that said, I wanted to try finger painting with her... but didn't want the mess of chasing her almost mobile self around the house with paint covered hands. SO, we got crafty and the end result is so cute. We made her daddy a little something special and she got to experience finger painting without the mess. 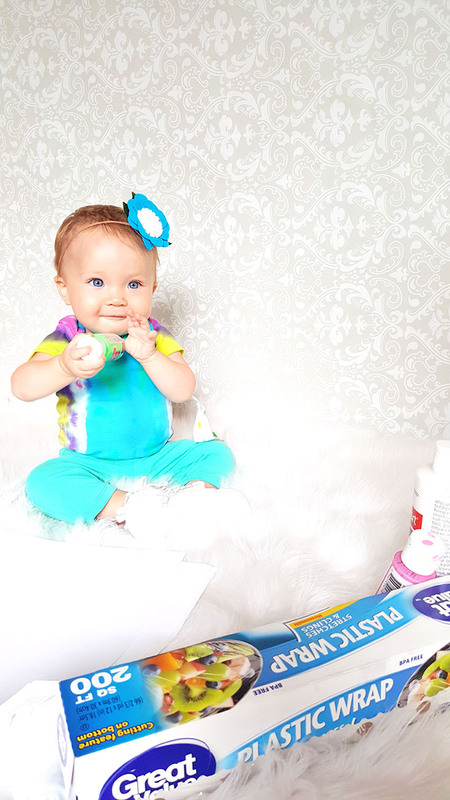 Hoping you can "finger paint" with your tiny tot? Here's one way you can make that happen, mess free! 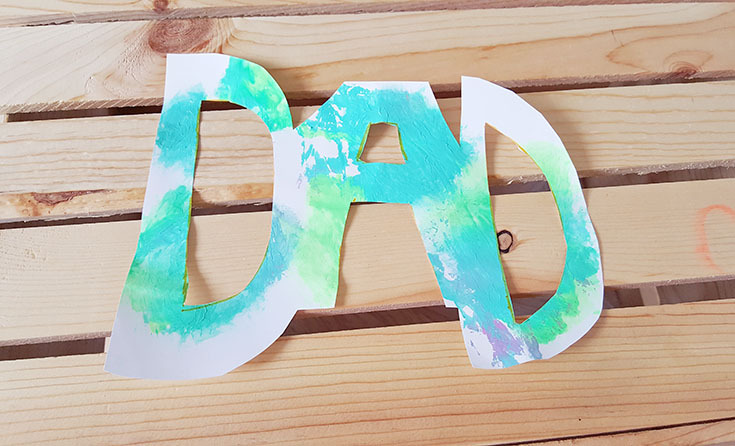 To make this cute "DAD" sign you'll begin by placing two sheets of printer paper on the box or foam board. Next add a few spots of paint on the paper, covering with plastic wrap fairly loosely, with one piece securing the paper horizontally and the other vertically. 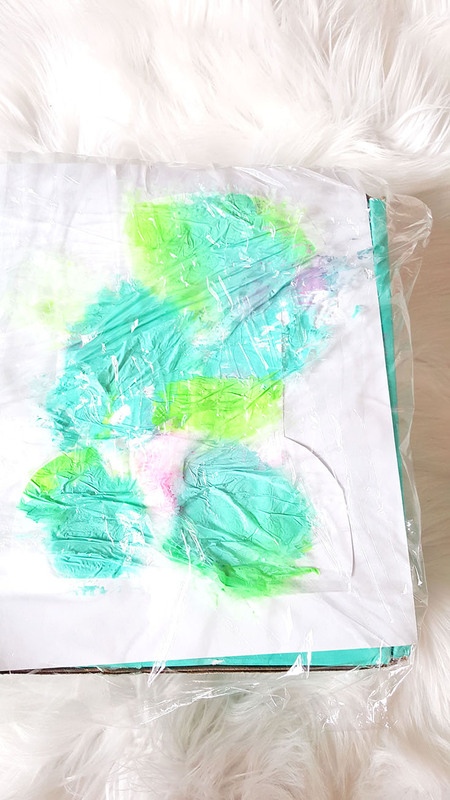 Now, let your little one slap around on the paper - spreading the paint but not making a mess! 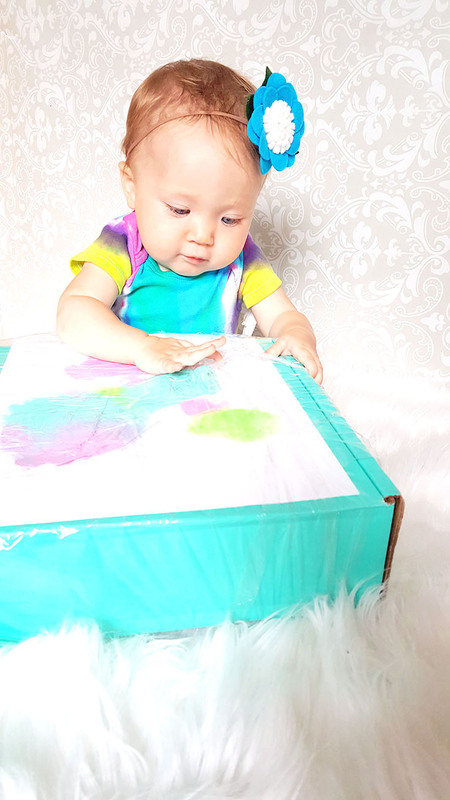 Once your little one is ready to move on to the next activity go ahead and clean up by removing the plastic wrap and placing the box in your recycling! 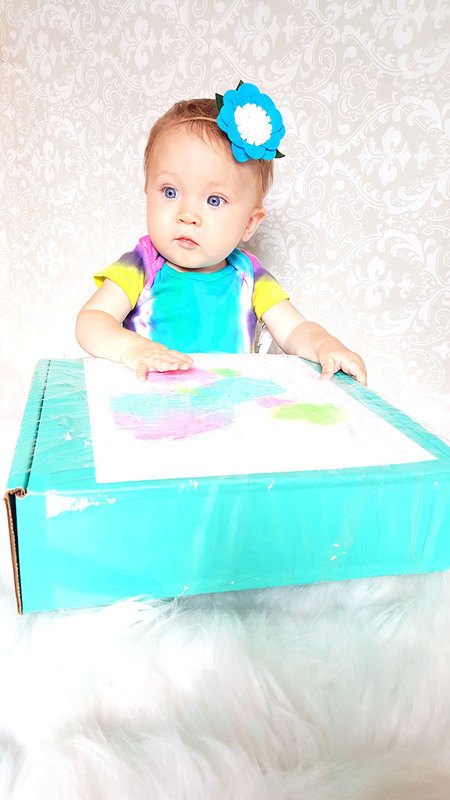 Let your gorgeous creation dry, take a photo of babe with it, and have your sweetie hand it to Daddy on Father's Day. I bet he'll cherish it and the coolest part is, it was mess free and fun to make! Now, if your little one is anything like Delainey, they're ready to move on to the next fun activity... so tell me, what kind of fun stuff do you and your little tike love doing? I'd love to hear all about it in the comments below! 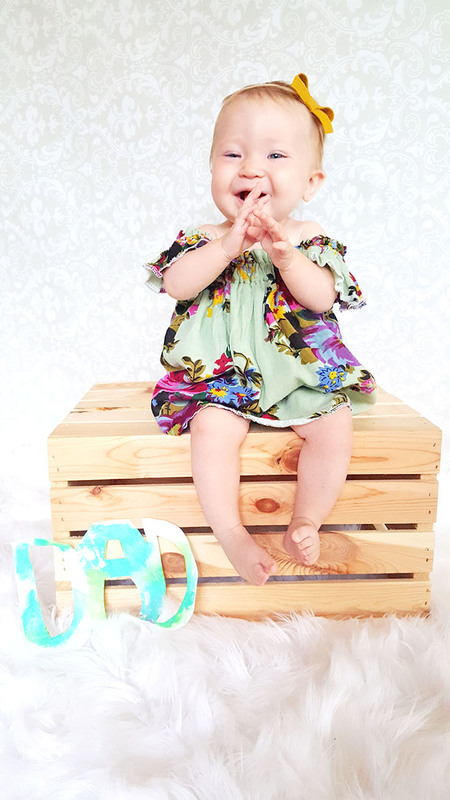 Curious about Delainey Kate's outfits? The blue flower bow is from 21 Blessings! You can score one of these beauties AND help fund the adoption of a sweet babe with down syndrome by clicking here. [save with the code 15Delainey]. Her tie dye shirt is made by mama & pants are second hand. 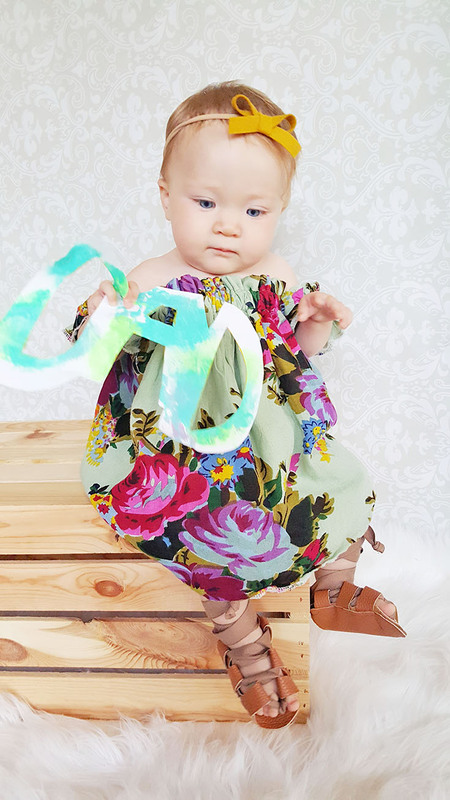 The dress in the other photos is from one of our favorite small shops - creekbaby & co. [use code CBCfriends to save]. 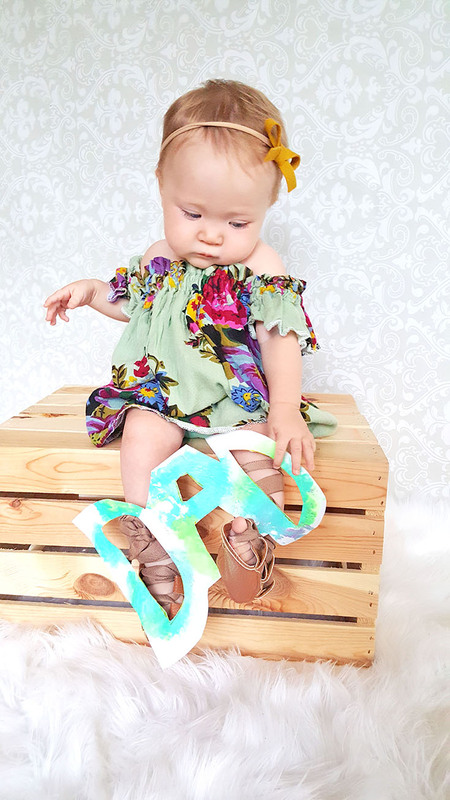 Her precious mustard colored bow is from Accessories by Sabrina [mention code Delainey10 to save]. 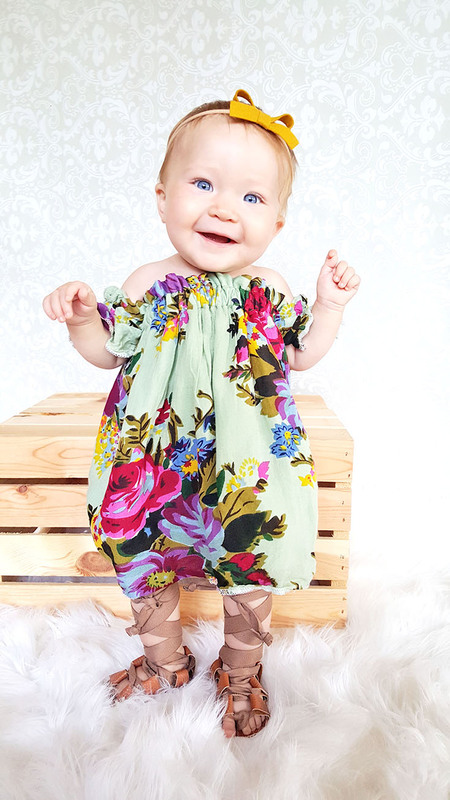 Lastly, those precious gladiators are from The Mini Princess Designs [and again, mention Delainey to save]!